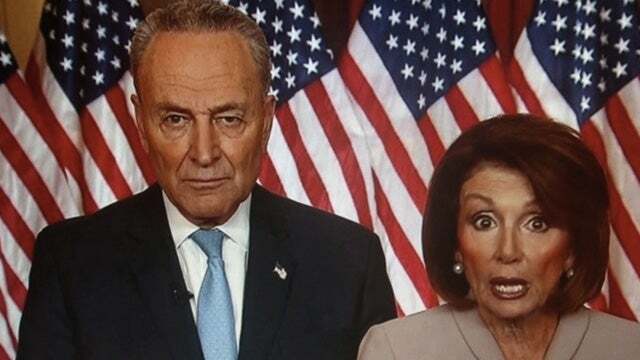 RUSH: Do any of you have the sense that President Trump is winning this shutdown battle with Chuck and Nancy? I do. I have the sense that he's winning this thing big time. By winning it big time I'm talking about with the American people. And I think Chuck and Nancy and the Democrats are beginning to look the way we see them to a lot of people. And in fact there are some Democrats now -- there's a break in the Democrat wall around their party. There are five or six Democrats, elected Democrats in Washington who are now publicly expressing their thinking that we need fencing here, maybe a wall here, not the whole border, but there's some breakdown here. You know, the Democrats won the House in 2016, but a lot of Democrats won in districts where Trump was elected. And those Democrats I think are hearing from their constituents on this. There's another interesting facet about this. There is some history taking place here. This manufactured crisis, and, by the way, I love Trump on this. Trump says, you know, everybody's looking for collusion. Well, look no further than the collusion between the Drive-By Media and the Democrat Party on this whole business of this crisis being manufactured. And we have pointed out the collusion between the Drive-By Media and the Democrats with different montages illustrating this over the years starting with the now-famous gravitas montage. And now there's a montage put together of all of these media people – well, first all the Democrats calling this a manufactured crisis followed by another montage with media people echoing it and Trump correctly points out that this is collusion. The media and the Democrats working together, as you know, I believe that it's the media that's actually leading all of this, running inference for the Democrats. And I don't think there needs to be any coordination. These people are on the same page. There's no memo needed. There's no instruction manual needed for how they're gonna act every day. It's something that occurs naturally to them. And it remains the media montage of the day, despite that it's been nuked, despite that it has been blown to smithereens, despite that everybody has performed the public of the collusion here, it remains the media mantra of the day. And that's really odd when you think about it, because the Democrats, everything else is a crisis! The Democrat Party has turned politics into an ongoing series of crises. It doesn't matter, whatever is on their agenda is a crisis. Food stamps, crisis. Health care, crisis. Climate change, crisis. Whatever it is they want is a crisis, except this is not a crisis. In every other issue the Democrats have told us how many people are gonna die if Republicans do X. From opposing Obamacare to enacting tax cuts. The Democrats even had a figure, 10,000 people are gonna die if we cut taxes. But there is no crisis with the open border, and there is no concern over the number of people dying. The Democrats have expressly abandoned their modern modus operandi. And it's kind of funny, they're in the process of still trying to convince everybody of a manufactured crisis at the border, the same people who have been trying to convince us for decades that climate change is the biggest and most urgent crisis the world has ever faced. They've never wavered. They continue to pound that. They amplify it. They intensify it. Climate change, big crisis, X-numbers of millions of people will die. Meanwhile, people are dying. People are being victimized by crime because of our situation at the border. And the left is mocking that. They're making fun of that! They're making fun of expressions of concern for victims of violent crimes committed by people here illegally, some who are members of gangs. As if the president is some kind of uptight fool who's out of touch. I mean, this is really bad for them, folks. This is a glaring example of how literally out of touch they are with the people who make this country work. And how about all of the hand-wringing over these poor federal workers are gonna miss a paycheck. Oh, my God. Meanwhile, how many people missed paychecks and lost jobs during the eight years of the Obama administration and you couldn't find a single syllable of concern from the Democrat Party! The hypocrisy is raging here. I've never seen anything like this. It's deranged. We have an ongoing problem that results in rapes and murders, illegal drugs, human trafficking. The president, who wants to fix the problem and help innocent people, is being mocked, laughed at, made fun of, and ridiculed and stonewalled by the Democrats. This is what unhinged looks like. 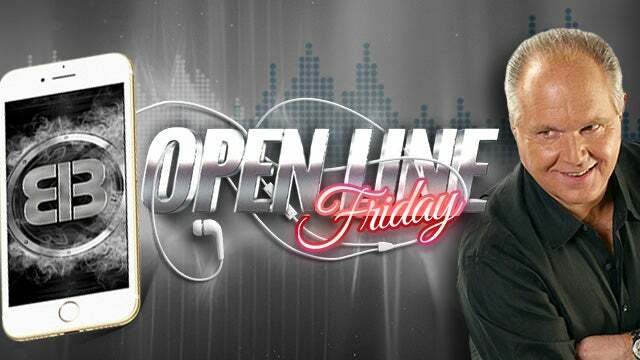 RUSH: I'm gonna kick off Open Line Friday with an email question. "Dear Mr. Limbaugh: Have you noticed that there has been very little polling -- almost no polling -- since Trump's Oval Office address to the nation earlier this week? And there was none of the usual stuff they do for presidential speeches. There was no 'snap poll' on CNN or any other network right after the speech. There was no online quickie, 'What do you think?' poll anywhere. "There has been no polling data that we could find anywhere following Trump's speech. There weren't any Frank Luntz focus groups with any undecideds out there. They didn't gather any Trump voters in Pennsylvania, Ohio, Wisconsin, and ask them if they're still behind Trump. The media didn't do any of the stuff they usually do. We have no idea what the valued and very wise independents thought of Trump's speech. "Usually, Mr. Limbaugh, we get a flood of polls. We get a flood of reactions and focus groups here. The internet and Twitter are filled with polling data, focus group data after an Oval Office address like this. But not this time. Why? Why, Mr. Limbaugh, has there been literally no reporting of any public reaction to Trump's speech on Monday night?" Doesn't the question kind of answer itself, folks? Well, the short answer is it's because they... I'm sure they did do a couple of polls. I'm sure they did, in a flash way, sample public opinion. They didn't get the negative reaction to Trump they hoped for. But there's more. Hang on. RUSH: So the first Open Line Friday call today is actually an email. "Mr. Limbaugh, why no polling data? Why no focus groups? Why no flash polls on the internet? Why not a single report of any public reaction to President Trump's Oval Office address on Tuesday night?" Let's go to the audio sound bites. This is Brad Parscale. He is the Trump reelection campaign manager. He was on the Fox News Channel last night. Question: "You said that according to your internal polls, the president has the highest numbers you've ever seen him at." 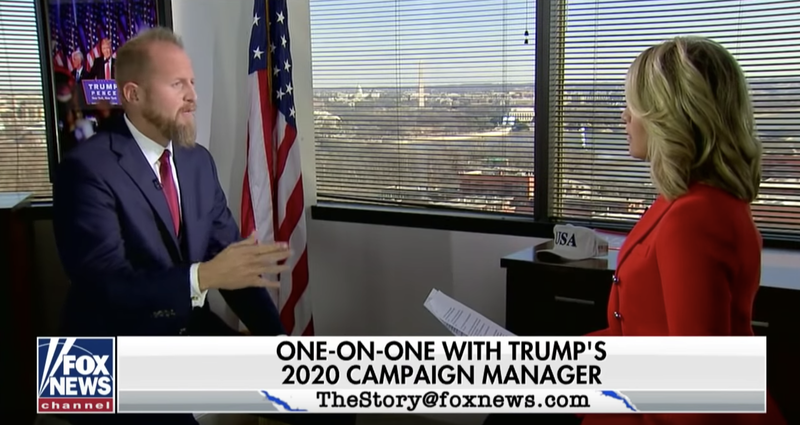 PARSCALE: We've been monitoring him over the entire two-year period and prior to that. But we kind of started it over when he became president and he got into office. And watching the data, you know, I started to see this rise as he started making this fight. And I'm not surprised by it. Because if you go back and you look... You look at the people that are kind of these swing voters, these people who possibly not like him for personality or different reasons, the No. 1 reason they will vote for him is because of his stance on border security. 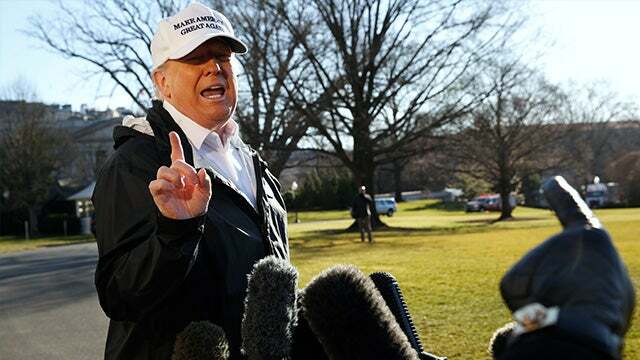 The public polling data that we do have is 93% of the American people think it's a major problem; 70% of the people support a national emergency declaration to solve this. And I want to go back. Grab sound bite No. 4. I want to go back to the day that basically sets the Drive-By Media off on their three-week narrative that I am president. It was December 19th. Let me see... The 19th? (muttering) Was that the last day I was here, the 20th? No. It was the middle of the week. It was close to the last day that we were here for the year, December 19th, and that was the day that I advised the president to walk away from the continuing resolution deal and go ahead and let the government shutdown. RUSH ARCHIVE: I think the president ought to veto this. This is why he got elected. This is why people stick with him. This is why his support base has not abandoned him during this full-frontal effort of the Democrats and the media to destroy him. They’ve hung with him because of this. This issue predated Trump. The American people have been telling Washington for 25 years they don’t want this, and the American people have continued to triumph. Washington continues to try to thwart the will of the people on this. Finally, the people elected somebody who actually said he meant what he was talking about regarding this, and they have stuck with him. The president should veto this thing, tell ’em he’s not signing it, and leave for Mar-a-Lago today. He’s not supposed to leave until the 21st. Somebody in the White House tell him I’ll meet him on the first tee tomorrow. RUSH: Well, we all know what happened. It was shortly after that little brief monologue that I got a direct message, an instant message from somebody delivering to me a message from the president. "Don't worry, I'm not signing this thing! I don't know who's telling you what, but we're not signing this. We're not signing the continuing resolution. I'm gonna veto this." I then shared those exact words, that exact story, and we were off -- and we're still in it. Three weeks of the Drive-By Media claiming that Trump was on the verge of signing it until I raised hell, and somebody walked into the Oval Office and said (sputtering), "Mr. President! Mr. President, Rush Limbaugh... You're gonna lose Rush Limbaugh! Don't do it! Don't do it, sir," and Trump stopped. That's the story they told. You just heard it. Nobody ran in and told the president anything. The president sent somebody to tell me that I was worried about nothing. So let's see. Where are we? Here we go. Sound bite Nos. 6 and 7 to continue the theme here. This is yesterday afternoon. This is CNN International. This is CNN around the world on a program called Hala Gorani Tonight. That's somebody's name. It's not a holiday. It's Hala Gorani Tonight, and she had on with her senior media reporter Oliver Darcy about the government shutdown. Now, this is yesterday afternoon, but they went back all the way before Christmas to explain how I shut down the federal government. GORANI: Rush Limbaugh's a -- one of the, uh, far-right radio hosts. Here's what Rush Limbaugh said on his radio show. RUSH: Looks like a lot of people's worst fears may be realized and that the president is getting ready to cave on getting any money from a wall in the current budget. GORANI: How much influence do these types of commentators actually have on the president? Can we measure it? RUSH: "How much influence do these types of commentators have...?" What type of commentator am I? What are these types of commentators? That was Hala Gorani, and she's reporting or asking the senior media reporter, Oliver Darcy. Here was the answer to his question. Again, this is yesterday afternoon. DARCY: We know for sure that they have influence! He received so much blowback in right-wing media from individuals like Rush Limbaugh that he ended up reversing his decision, and our reporting indicates that it was in large part due to his critics. I think the president is very smart. He knows that the people his supporters watch are the people that are on Fox News and the people that are on talk radio like Rush Limbaugh. And he knows that if they start criticizing him, he's gonna be in trouble with the base. 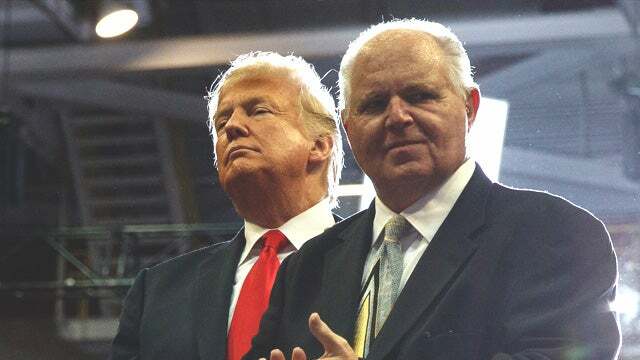 If someone like Rush Limbaugh is saying that the president's not being tough on the wall, he's not delivering on his promises, that's when it gets dangerous for Trump. RUSH: People can't... You know, I tell you, folks, it's amazing how consistent these people are. In the early days of this program, you were the mind-numbed robots, incapable of independent thinking, unable to make up your own minds. You were nothing but a bunch of... Well, I was the Pied Piper, and you were the little animals running around and you didn't do anything until I told you to do it. So the presentation is always conservatives have no ability to think on their own. Every conservative is the result of evil influence from some savant. Now it's Trump. Trump is the idiot. Trump is the guy that has no mind of his own, Trump is the guy incapable of independent thought. Trump will only do what certain types of commentators tell him to do. You see, the theme here is that Republicans/conservatives are idiots, incapable of proper independent thought and are the result of brainwashing or pied piperism or what have you. It's constant. I mean, it's been this way for 30 years, and I'm here to tell you, Donald Trump doesn't need to be told by anybody what the right thing to do on the border is. He's only the leader of the issue. He is only the guy -- the one guy -- that's taking any action on it that the American people want taken on it. They voted for countless numbers of politicians to do this and not a single one of them has, certainly not to the extent that Trump has. The idea that Trump is the product of being influenced by certain types of commentators is just another creation of the idea that Trump is a blithering idiot and doesn't know what he's doing, doesn't really care about issues, doesn't really have a core. He's just subject... (impression) "He's afraaaaid ! He's afraaaaid of Fox News. He's afraaaaid of losing his base. He's afraid of Matt Drudge, and so forth," and it's just the exact opposite. It's more evidence that they have no idea who Trump is, and they have no idea how to deal with him. By the way, the panic is now skyrocketing out there when news hit that the Trump administration is making plans to move on from Ruth "Buzzi" Ginsburg. So the Ginsburg site's putting out news, "Hey, she's perfectly fine! The surgery that she just had says there's no remaining cancer, no further treatment will be needed." You can interpret this any number of ways. But there's panic setting in on that. Of course, if you thought the Kavanaugh fight was something, it was Romper Room compared to what happens if one of these libs on the court resigns. One more little sound bite before the break. This is Mara Liasson last night on (impression) "NPR All Things Considered." This is a bit of what she had to say. LIASSON: Almost every poll shows that while border security is broadly popular with voters, the wall -- and shutting down the government to get a wall -- is not, except among Trump's core supporters. And now that Trump is promising to act alone if necessary, he's getting praise from some of the same conservatives that previously attacked him for waffling on the wall. Over the weekend, Rush Limbaugh told his listeners that Trump has to do this all by himself. RUSH ARCHIVE: It remains a one-man show. Donald Trump against the Democrat Party and the media! We are very fortunate the guy does not cave. RUSH: There must have been a best-of show that played "over the weekend" that she heard because everybody knows this is not a weekend show. 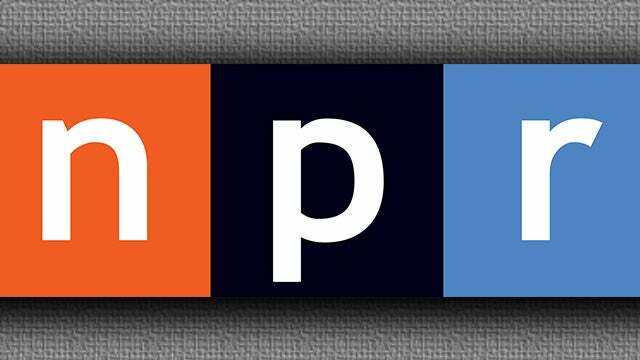 But she said that I said it "over the weekend," and she's NPR. So they know.